Being a customer centric organization, we are engaged in importing, exporting and distributing Redispersible Powder Polymers. Based on chemistry with graduated influence on rheology, anti-sagging, flexibility and hydrophobicity, these powder polymers are plasticizer free and low VOC products. Procured from the certified vendors of the market, these polymers are formulated in accordance with industry set standards. 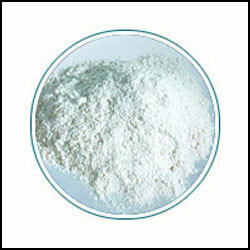 Keeping in INDIAN CLIMATIC CONDITIONS & USAGE WE Import Redispersible Powder Polymers. Sourced from the trusted vendors of the industry, these powder polymers are formulated under the guidance of experts, using optimum quality ingredients. Offered range of powder polymers is based on chemistry with graduated influence on rheology, flexibility, hydrophobicity and anti-sagging. The powder polymers we are offering are free from plasticizer and are low VOC products, enriched with additional cement super plasticizing functionality.